What do people have to say about Luna, The Lone Wolf? 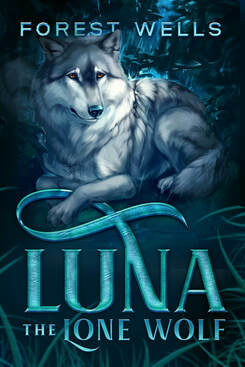 Luna the Lone Wolf is more than just a thrilling tale featuring wolves, humans and the problems that arise between them. It's a journey. Forest leads the reader on an emotional journey with Luna. The reader will laugh, cry, and sometimes even shout as they travel with Luna. An imaginative tale told from a whole new perspective, you won't be disappointed. Luna the Lone Wolf is a novel everyone can enjoy, from a YA reader, to a classic fiction reader; everyone will find something to enjoy. Wolves have been at the core of American culture and lore for centuries, and (Forest) Wells takes all the charm and characteristics that have so fascinated us about the species, and lends to them a new depth and meaning.